To many people, Thomas Clark is no more than a Canterbury boot and shoe maker who wrote the hymn tune "Cranbrook" which was later plagiarized and used for the words of "On Ilkley Moor". He was never famous in classical musical circles, but his music was known and sung by countless thousands in his day. However, like many other composers of hymn tunes of his period, radical changes in the way churches were built and furnished, and the way in which services were conducted meant that, in the second half of the nineteenth century, a whole new repertoire of congregational music supplanted that written by Thomas Clark and his contemporaries for use in Anglican church services and later in non-conformist churches and chapels. Clark's life has already been chronicled in a small publication by Wallace Harvey of Whitstable, although the book is now out of print ( 1 ). Harvey's interest in Clark and his music predates the recent interest in 18th and 19th century parish psalmody and his compilation is a labour of pioneering love. However, his biography is a mixture of what seems to be thoroughly researched facts mixed with much anecdotal material (some of which has proved to be inaccurate). Often statements are made which suggest that Harvey had access to diaries or letters or to family oral history but unfortunately no references are included. Some of Harvey's anecdotes are borrowed from James Lightwood, writing about "old Methodist tunes" relating to Thomas Clark and his compositions ( 2 ). Thomas Clark was born in St Peter's parish in Canterbury and baptized on 5th February 1775. His grandfather, Thomas, had been the parish clerk there, although his father, William, a cordwainer (shoemaker and leather-worker) by trade, attended the Wesleyan Methodist Church nearby in King's Street. 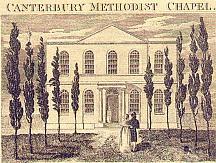 This was opened in 1764 and John Wesley preached there on that occasion; he recorded in his diary for Monday 20th August that year: I went to Canterbury; and opened our new chapel, by preaching on, "One thing is needful". Harvey claims that William was the leader of the choir there and the singing in the services was led by a band of instrumentalists; Lightwood says that young Thomas 'used to watch with awe the efforts of a stout uncle of his to control a somewhat unruly serpent'. So Thomas was immersed in sacred music from an early age but there is no evidence that he had any formal musical education. He was apprenticed as a shoemaker to his father, completed his apprenticeship in 1796, and became a Freeman of the City of Canterbury by 'patrimony', ie by virtue of being the son of a freeman. The family shop was in George Street in the centre of the city. Much of the area suffered badly from bombing in the 1939-45 war and was subsequently redeveloped; Marks & Spencer now stands on the site of Clark's shop. 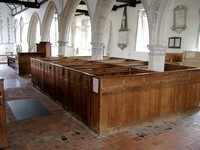 According to Harvey, Thomas was a keen bellringer and rung in many of Kent's churches. Harvey states that, having been brought up with church music, he was composing hymn tunes 'before he was able to write competently, a skill he didn't fully master until his late twenties'. This seems quite implausible since he was an only son and inherited his father's business in 1823 ( 3 ). It therefore seems most probable that he would have been schooled in the basic three Rs, especially in a City such as Canterbury where schools would have abounded and a basic education was essential for his business. opened by John Wesley in 1764. 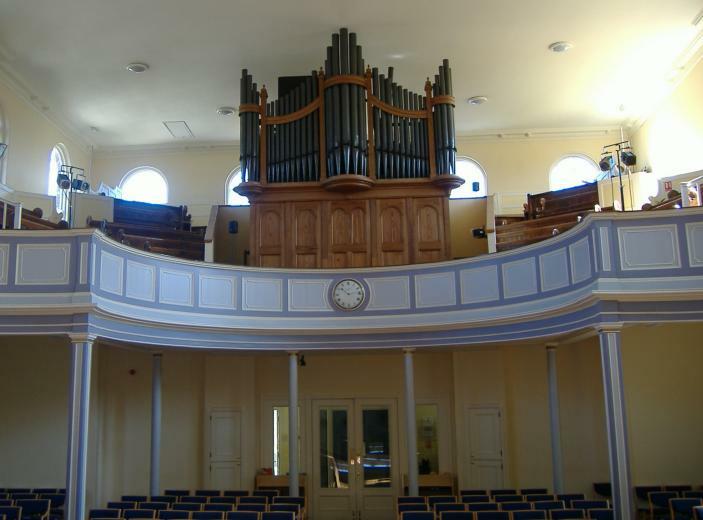 Clark must have produced many compositions which he tried out on the choir at the Wesleyan Methodist chapel in King Street and possibly further afield. By about 1804, he decided, or was persuaded, to go into print and, as was often the case with a first publication, subscribers were sought. A Sett of Psalm & Hymn Tunes with some Select Pieces and an Anthem, was published in early 1805 (it was registered at Stationers Hall in January), and printed and sold by James Peck, 47 Lombard Street, London, who subscribed for 50 copies, such was his confidence in Clark's compositions. The list of 109 subscribers printed at the back (ordering 165 books) came mostly from North and East Kent but with a substantial number in the parishes just to the northeast of Romney marsh, particularly Bilsington, Ruckinge and Aldington. This may well reflect his friendship with the Francis family of Ruckinge and their promotion of his music. In spite of the number of subscribers to this volume, Clark still sought subscribers before committing himself to publishing a second volume, although from the wording in the back of the first set he probably had several compositions ready for the purpose. 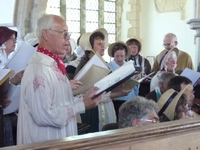 The first set was immediately successful and another eleven sets were published over the next fifteen years, aimed at non-conformist choirs and congregations. The music was set in four parts with the air or melody, for treble voices, placed next to the bass line and the tenor line at the top (ie arranged TASB). In some pieces, small notes indicate instrumental accompaniment although there is little or no suggestion as to what instruments were to be used. These 'Setts' were "figured for the Organ, Pianoforte, &c." so Clark was hoping to appeal to as wide a range of churches and chapels as possible and even maybe to family groups with keyboard instruments. It was the first set which contained the well-known tune Cranbrook to which Phillip Doddridge's words "Grace 'tis a charming sound" were set but it also contained other tunes such as Cornhill and Burnham which became very popular. 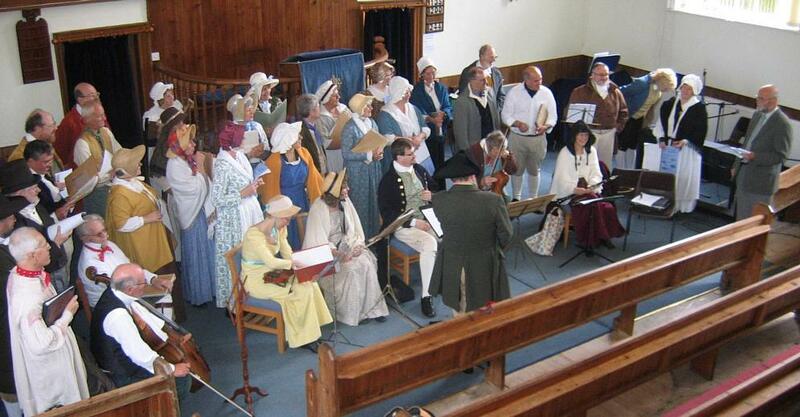 In successive 'Setts', tunes were set to hymns from well-known writers such as Wesley, Watts and Doddridge, and to texts from Dr Rippon's Selection as well as to hymns from less frequently used hymn collections by such authors as Deacon, Lady Huntingdon, Dobell and the Olney collection. His Sixth Set of Psalm & Hymn Tunes (pub. ca.1814) contained 50 tunes devoted to Wesley's hymns and hymns by the Revd Dr.Collyer were exclusively used in the 'Seventh Set' (40 hymns) and the Eleventh Set (43 hymns). He also published a small collection of twelve tunes (again harmonised in four parts), published ca.1810, composed for texts from Lady Huntingdon's Collection of hymns. 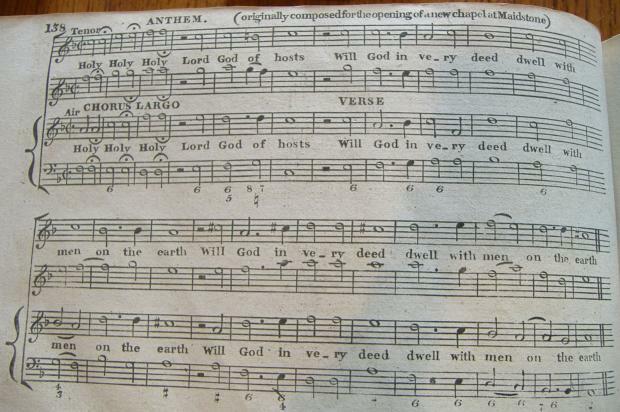 Each volume usually contained a limited number of anthems or through composed hymns such as "Jubilee" ("The year of Jubilee is come") in the fifth set and "Midhurst" ("When I can read my title clear") in the first set. 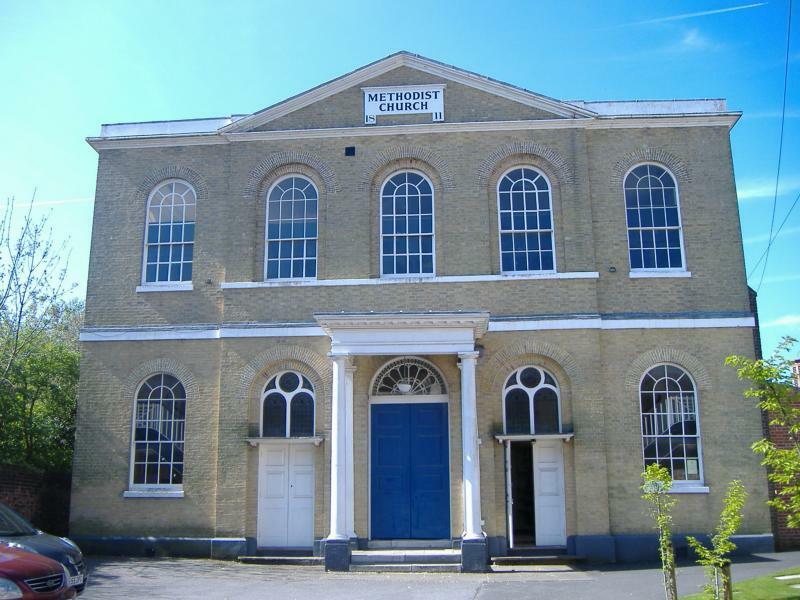 The fifth set also contained an anthem ("Holy holy holy Lord God of Hosts") composed specifically for the opening of the new Wesleyan Meeting House in Maidstone. A page from the Anthem written for the opening of the Wesleyan Methodist chapel in Maidstone. Most of the tunes in the earlier 'setts' were in the more usual metres such as Common Metre, Long Metre and Short Metre but the proportion of PM (Peculiar or Particular Metre) tunes grew with each volume as hymn writers tried out different verse forms. Every composition was given a name and in the early volumes many were named after places in Kent or the southeast of England. As Clark's music reached a wider audience, place names were used from further afield, not only in Britain but also from the empire and beyond - eg Ceylon, Bermuda, Zealand, Warsaw, Canada, Palestine, Montserrat and Mount Vesuvius. The war with France brought other place-names to the public notice and were called into service, such as Elba, Trafalgar and Corunna. 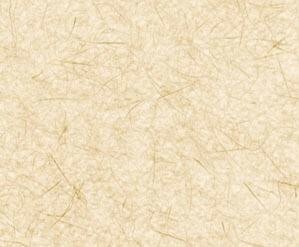 More names were inspired by religious emotions or experiences such as Exultation, Hope, Judgment, Patience, Penitence, Reflection, Persecution, Worship. 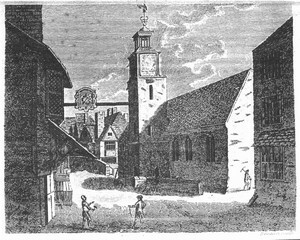 Thomas married Anne Ledger in St.George's Church, Canterbury, in November 1806 (at this time marriages had to be conducted in an Anglican church). Their first child, Catherine, was born in the following year and christened in Kings Street Chapel. She was named Catherine after Thomas' stepmother, his father William's third wife. 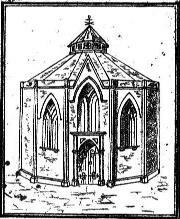 In 1811, the Wesleyan Methodist congregation had outgrown its old 'Pepperpot Chapel' in Kings Street, and built a new one in St.Peter's Street, which received the necessary licence from the Cathedral authorities on New Year's eve and opened for public worship on New Year's Day, 1812. Over the same period as Clark was producing his 'Sets of Psalms and Hymns', he was composing and publishing a similar series, in nine volumes, aimed at the Anglican church, entitled "A --th Set of Psalm Tunes". These were "adapted for the Use of Parochial or Country Choirs" and were also figured for organ or other keyboard instruments. Most settings were for the Old and New Versions of the psalms and Dr Watts' paraphrases, although the ninth (last) volume contained 5 settings of Mr Merrick's psalms. These volumes included morning and evening hymns, funeral and Christmas hymns, anthems, a Magnificat and Nunc Dimittis, three collects and a set of Responses and a Sanctus. These two series were published during the period from 1805 to about 1825, sometimes two in one year - quite a prodigious output. The eleven sets of 'Psalm & Hymn Tunes' which are known (a copy of the 10th set has not so far come to light) contained 476 settings including 33 through composed pieces or anthems. The nine Psalm sets contained 148 psalms, anthems, etc. According to his obituary, "he was a member of the Unitarian congregation assembling in the Blackfriars' chapel, Canterbury, where he had conducted the music for more than half a century" ( 5 ). This would suggest that he changed his religious allegiances when or shortly before the Methodist congregation moved to their new chapel in St.Peter's. This might well explain why there are no references to him in the surviving Methodist records relating to their new chapel. In 1823, Thomas Clark's father died and he took over the running of the business in George Street in the centre of Canterbury. In about 1826-7, another collection of hymn tunes entitled The Sacred Gleaner was produced, which Lightfoot claims became very popular with many congregations and in late 1828 the first part of The Congregational Harmonist appeared, in which Clark was a collaborator. It was sub-titled the Clerk's Companion and described as 'A selection of the most approved Psalm and Hymn Tunes of standard reputation with some originals Comprising a great Variety of Measures, suitable to the Collections of Drs Watts, Rippon, Collyer, Mr R Hill, Mr Wesley, Lady Huntingdon, etc'. Three more parts were published over the next 6-7 years and out of a total of 576 pieces, Clark contributed 242. Clark was not averse to recycling some of his earlier pieces and this compilation included "Twyford", a version (stripped of symphonies) of his setting of Psalm 108NV previously published in his 4th set of Psalm Tunes. Similarly, his setting of Psalm 105NV in the same 'sett' became "Eythorn". It is worth noting that his setting of Psalm 8NV in his Second Set of Psalm Tunes has survived in several modern hymn books as the tune "Crediton". Clark also composed several anthems during the 1820s which were published as single items and sold for one shilling each, such as "An Ode for the New Year" ( "Stand still refulgent orb of day" ) and "Daughter of Zion". Lightfoot claimed that the latter "achieved an extraordinary popularity, and the crashing chord at the end of the phrase 'chariots of war' is ever a joyful memory to those who have heard or sung it." Such was its popularity that it was reprinted several times during the 19th century. 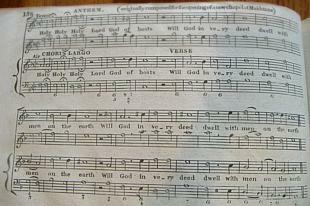 In the 1830s, the Sunday School Union had "plans for the promotion and improvement of religious instruction, have been anxious to render the manner of singing the praises of God more interesting and satisfactory" and commissioned John Peck to produce a compilation of the most popular tunes of the day and this was published under the title of The Union Tune Book in 1837. Out of the 318 tunes, 38 of Clark's compositions from earlier collections, sometimes with minor amendments to the harmonies, were included and the book became widely used. The compilations also contained compositions by many other popular tune writers of the day such as Leach, D E Ford, Moreton and Stanley. This book may not have been the first to do so but certainly it popularised the setting of the alto part on the top stave, ie the voicings being ATSB. Encouraged by its widespread adoption, the Sunday School Union published The Union Harmonist in 1841, which contained a selection of "more difficult pieces which had been submitted for inclusion", and which had been omitted from the Union Tune Book. Thomas Clark was editor/arranger but the preface also acknowledges the assistance of J.I.Cobbin "for the valuable aid which he has rendered towards insuring the scientific accuracy of the work" - presumably he was proof-reader. At the behest of the Sunday School Union again, Clark put together a collection of tunes specifically for children called The Juvenile Harmonist which was published in 1842 and in the same year, a much revised new edition of The Union Tune Book appeared, which Clark had been commissioned to compile; 36 of the 327 tunes were by him. 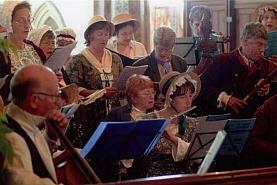 In particular it reflected changing fashions in hymn writing as it contained tunes for 43 different verse metres. The next year a smaller and more portable edition was published which omitted the pianoforte accompaniments. While numerous compilations have been published, the Author is not aware that any one has hitherto set the whole of the Psalms to music. With himself it has long been a favourite object; and though in imperfect strains he has thus rendered his homage to "the sweet singer of Israel", it will prove to him a source of peculiar satisfaction, should the manner in which he has fulfilled his task, meet with the approval of the Christian Public. If a certain degree of monotony is discoverable, it must in extenuation be remarked, that neither the metre nor subject has allowed of that variety which is attainable in promiscuous selection; the words having been taken exclusively from the Old and New versions, and Dr Watts. That the utility of the work may not be restricted, and as words equally appropriate can be selected from the hymn books in general use, the metre, with a distinctive name, has been attached to each tune. The latter remark highlights the contemporary practice of freely transferring appropriate tunes to other texts. Presumably this volume was aimed at non-conformist congregations as the settings were considerably simpler than his earlier sets of psalm tunes with no florid symphonies and interludes. In the same year he also published The Seraphim or Sacred Harmonist - a compilation of "favourite and most popular anthems and set pieces" to which he contributed 29 of the 61 items. The Congregational Harmonist or Clerk's Companion, a numerous selection of the most approved psalm and hymn tunes also appeared containing 242 Clark compositions out of a total of 576 pieces. 108 of Clark's pieces were marked as "original compositions", presumably new to that publication while the remaining 134 were marked as "private property" which suggests that they had already been published and that some form of copyright had been established. Whose property were they? Did Clark sell these to James Peck or other publishers? In the same year a revised Sacred Gleaner was also published and the two bound together made a collection of about a thousand tunes, according to Lightfoot. I have been unable to locate a copy of this collection so do not know how many of Clark's own compositions were included in it. Harvey states that Clark was suspected of Unitarian leanings and was obliged to leave the Methodist congregation in St.Peter's Street, while Barkley claims that he joined the Baptists ( 4 ). It may be worth noting in this context that Clark's Fourth and Fifth Sets of Psalm & Hymn Tunes contain settings of words by William Kingsford and the Fifth set words by John Farrin; both these authors belonged to the Baptist congregation in Canterbury. It is also curious that there is no mention of Clark in the Methodist church minutes although in 1842 the appointment of a new choir leader is noted. In about 1842-3 Clark retired from his shop in St George's Street and went to live at 21, Stour Street - he would have been 67-68 years old then. In 1844, he collaborated with Alexander Hume of Edinburgh to publish British Psalmody but his musical output started to diminish from hereon. His last major project was a continuation of The Union Tune Book published in 1854, only 3 years before his death, although it is doubtful whether he played a major role as J.I.Cobbin was appointed editor by the Sunday School Union. 110 tunes were added to the earlier edition, including 8 more by Clark and 37 of his chants, the latter reflecting the changing style of parochial church (and possibly chapel) music. He is described as "Professor of Music" in the 1851 census and in the 1852 edition of Pigot's Directory . 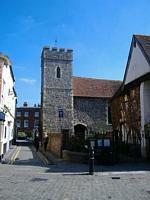 He died at his home in St.Mildred's parish, Canterbury, on May 30th 1859, aged 84. The obituary notice in the Maidstone Journal for 7th June 1859 read: "CLARK - on the 30th ult., at St.Mildred's, Canterbury, Mr Thomas Clark, the well-known composer of psalmody, aged 84." 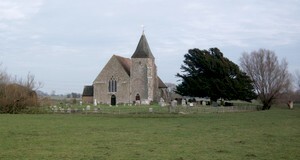 Harvey states that he was buried in Wincheap burial ground, a cemetery for non-conformists on the outskirts of the City. Unfortunately, the graveyard became neglected after World War II and no headstone has survived to mark his burial plot. MP3 files created from recordings made by Mike Bailey at Three Quires' Day, a twice-a-year West Gallery workshop in Lewes, Sussex. What were eighteenth century churches like inside? - before the Victorians "improved" them! Who was John Deffray? 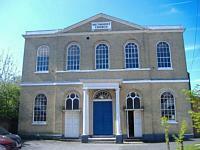 Read about a Huguenot rector who established a Religious Society in Old Romney.